Los Angeles (and Sweden)-based indie rock group Grizfolk may not be an instantly recognizable name in your musical repertoire, but that doesn’t mean you shouldn’t take note. Having first formed in 2013 and subsequently releasing their debut EP, The Spark, in February 2014, the group has been on a nonstop rise to the top. Most recently, the band released their debut album, Waking Up the Giants; something that has certainly felt like the longest-time coming. Waking Up the Giants is an intriguing debut, integrating a variety of musical styles while presenting notably idyllic lyrics that feel evocatively personal. The album opens in a rather sweeping way; its title track, “Into the Barrens,” is an enticing, nostalgic track centralizing around themes of self-discovery and self-acceptance. It feels like a solid ground to stand on at the start, subsequently setting up the rest of the album for pursuing similar themes: being young, discovering yourself, and ultimately seeking out happiness. Following the opener is the album’s leading single: the anthemic, explosive indie rock gem “Troublemaker.” “Troublemaker” proves to be a powerhouse single unlike any other track on the record, making it stand out all the more. It is an upbeat, toe-tapping, dance-inducing song that integrates influences of both rock and pop as it follows the narrator as he croons about a potential love interest; all of the intense fascination that makes it difficult for him to think of anything else. Can I put you in my pocket and save you for later? The two subsequent tracks, “Hymnals” and “The Struggle,” originate with the band’s beginnings, as both tracks were initially released on their 2014 debut EP, The Spark. Both songs exemplify the group’s undeniable charm and inimitability, and feel wholly representative of the band’s distinctive feel-good style. The album’s second single, “Bob Marley,” comes next, giving listeners a refreshingly breezy palate cleanser: it is–perhaps aptly, given the title–a more chilled out tune, sounding like the perfect soundtrack for a day on the beach. Following this is the album’s eponymous track, which utilizes redundant, uplifting lyrics to make it a particularly enjoyable track. The album flows particularly well as a breath of fresh indie rock air, however it cannot be said that every track rightly follows along. Songs like “Waiting for You,” “Cosmic Love,” and “Bounty on my Head” feel more classically country than indie rock, in turn detracting from the album’s overall charm. Their displacement is somewhat salvaged by their poetic lyricism; in particular, “Cosmic Angel” offers up a truly poetic profession of love that would make any girl swoon. The album ends with two particularly sanguine tracks, “Bohemian Bird” and “Wide Awake,” which shift from the country-inspired melodies just previously experienced back into the comfortably indie sounds offered earlier on the record. Particularly, “Wide Awake,” the album’s closer, feels especially poignant as an ending: it is a shimmering indie tune, looking introspectively at the prospect of the future. It feels somewhat similar to the album’s stark opener, “Into the Barrens,” which follows a lost, wandering soul, however “Wide Awake” also feels as though some progress has been made; there is still hope. 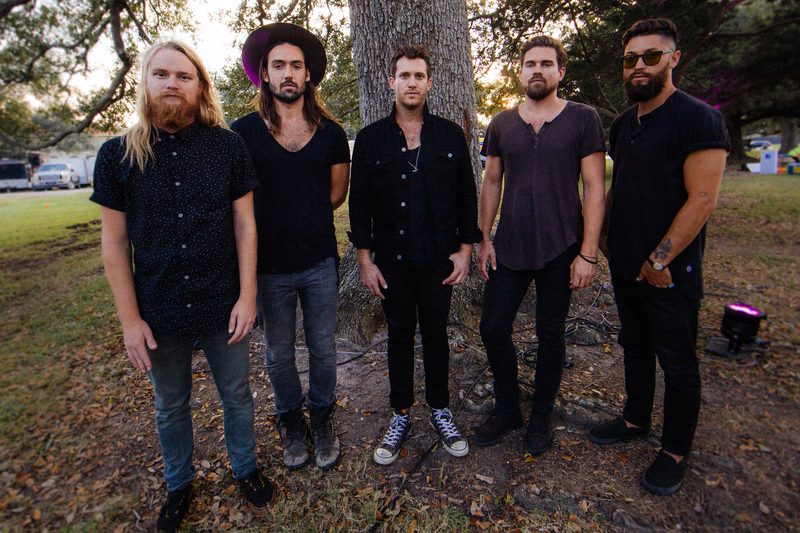 For a debut record, Waking Up the Giants ultimately proves to be a unique album that is wholly representative of Grizfolk’s exceptional promise in the indie music world. Though it may not be the strongest possible effort, it is still truly commendable, thanks heavily in part to its themes, lyrics, and shimmering instrumentals. 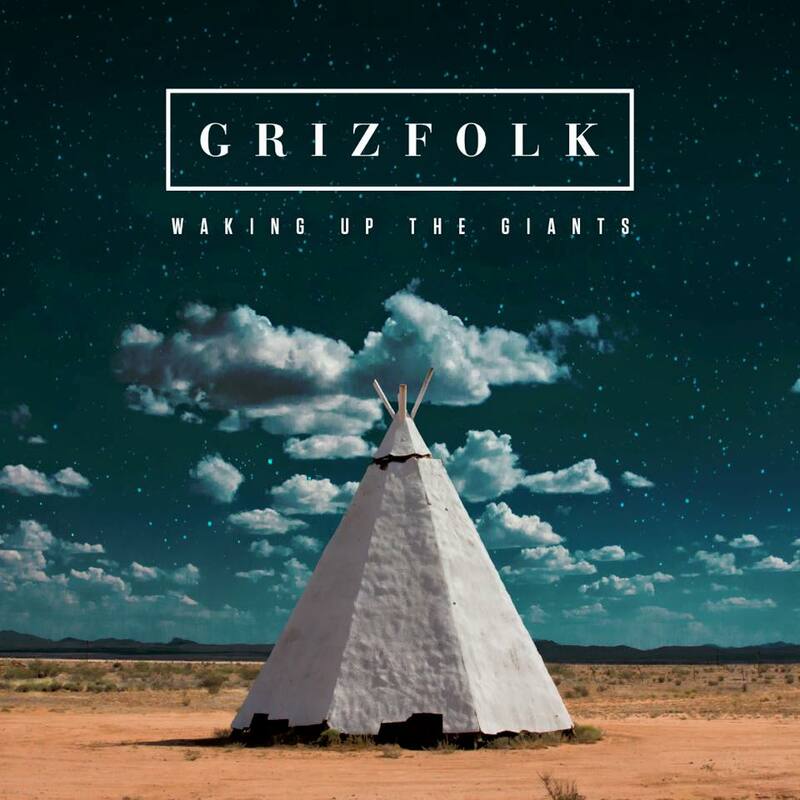 Waking Up the Giants exemplifies the glimmering prowess and freshness that Grizfolk has to offer, and should merely be looked at as an auspicious prelude of what is yet to come. You can purchase Waking Up the Giants on iTunes now.